The Chase Tactical Striker COMBAT ACH IIIA is designed according to the latest US Military requirements, utilizing the most advanced ballistic protection against handgun ammunition. The shell is composed of multi-layered advanced composite; The harness assembly consists of the Team Wendy CAM-FIT retention System. 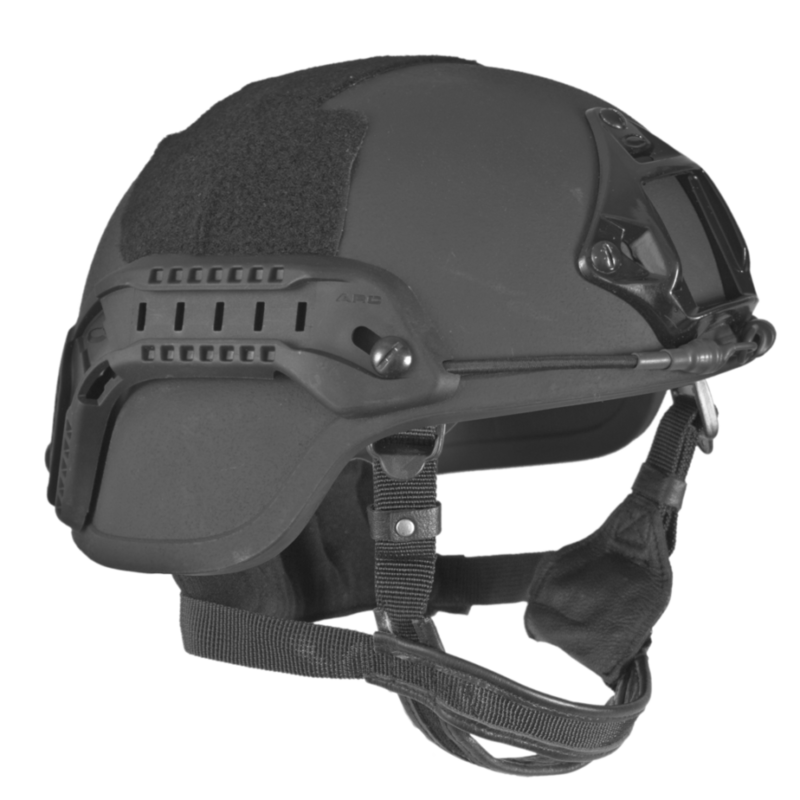 The reduced profile enables a wider peripheral and upward field of view, for better situational awareness and unrestricted movement, and also accommodates protective goggles, night vision goggles (NVG), and a communication system. Protection Level: Level IIIA according to NIJ 0106.01 including Frag protection according to MILSTD 662F. Materialsa: Kevlar® fibers and thermoset resin shell construction. 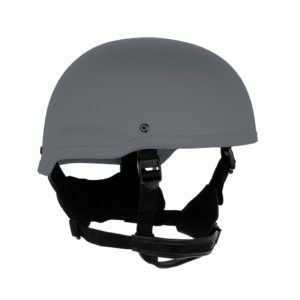 Helmet Pad: Comes standard with D3O 7 point helmet pads. Included Accessories: Chase Tactical Rails, Shroud, Bungee Retention Strap, Velcro Strip, and Team Wendy CAM FIT Retention System with Dial Knob (BOA) harness system. Circumference: Measure around head, similar to hat sizing. All sizes are measured in inches. If a measurement falls on a dividing line between sizes, select the larger of the two sizes. Reason: Maximum Ballistic Protection. COMMUNICATIONS HEADSET IS NOT INCLUDED. SHOWN FOR DEMONSTRATION PURPOSES.